More often than not, Enterprise Output Management software is required to optimize efficiency in large or complex organizations. Many organizations run on ‘back-end’ systems such as ERP, EMR, WMS, accounting, and HR needs. Some of these systems are from SAP, Oracle, MFG/Pro, Epic, Cerner, and more. These systems create documents that are required to run organization’s operations. In many cases, there are multiple systems in a single organization. Additionally, these types of organizations may have complex IT environments that include numerous computer environments, locations, time sensitive, mission critical output management, system-to-system had-off documents, etc. Managing these disparate systems can be very difficult. Specifically, support for these systems consume significant IT resources, impact shipment schedules, create hard to find errors, and cause internal process issues. Therefore customers in these scenarios utilize print solutions to handle their output management. All in all, Output management software streamlines operations, reduces cost, scales operations, automatically fails over in case of error, and increases print fidelity. Additionally, output management software automates recovery from failure, confirms delivery of print, increases throughput, automates routing, and more. Generally speaking, there are as many flavors of Enterprise Output Management software as there are customer situations/problems. 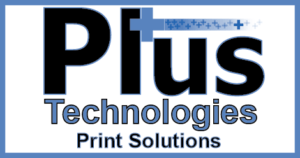 Furthermore, in these areas Plus Technologies output management print solutions shine. Specifically, our OM Plus output management software suite consists of a core output management engine (Delivery Manager) and numerous optional modules that can be seamlessly added on to solve virtually any output management software related problem. Given these points, some of our use case examples are listed below. However, if you do not see a use case that describes your situation, call us. In that case, chances are we can create a solution that meets your needs.